Urban Decay Full Spectrum Eyeshadow Palette for Holiday 2016 Now at Sephora! | Top Beauty Blog in the Philippines covering Makeup Reviews, Swatches, Skincare and More! Satisfy your color addiction with Urban Decay’s Full Spectrum, a limited-edition eye palette, featuring 21 shades of their iconic Eyeshadow in bold brights to a matte white. 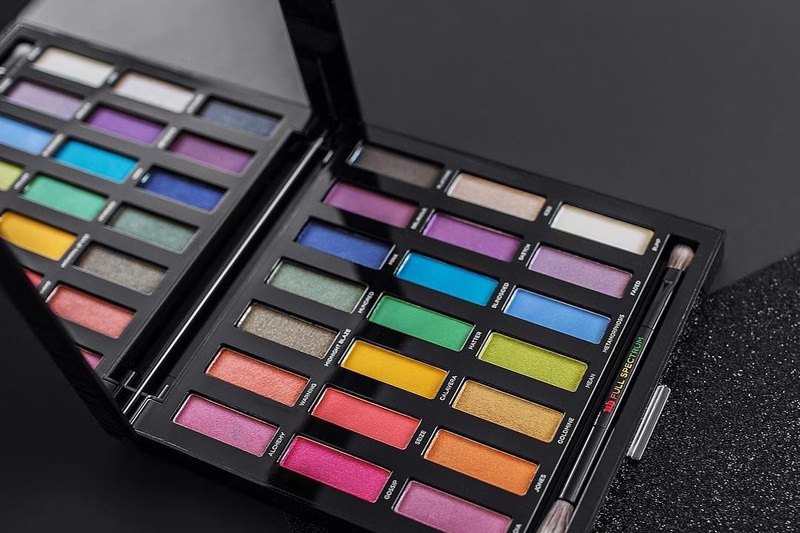 Urban Decay organized the shadows by color family, creating a rainbow of ombré trios: pinks, oranges, yellows, greens, blues, purples, and even a wildcard row that goes from white to black. This palette that not only looks stunning, but also delivers tons of options. Create dimensional ombré looks by working within the color-coordinated trios or experiment with multiple shade groups at once. With 18 never-before-seen shades, three exclusives from past palettes, and a wide range of finishes, you’ll never run out of eye shadow options. 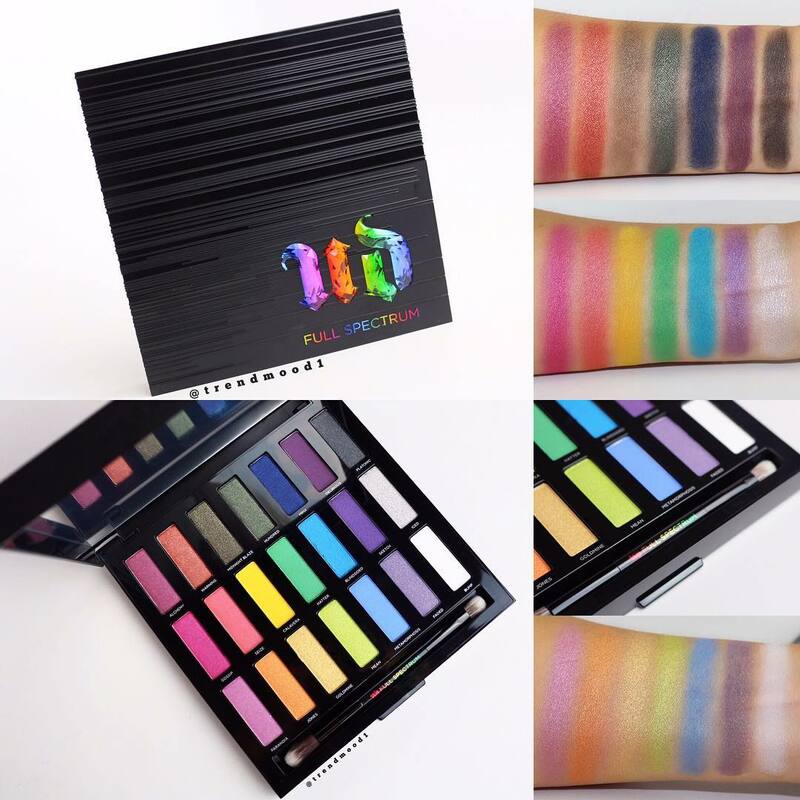 In 2015, UD launched Urban Spectrum Eyeshadow Palette in limited quantities. The Full Spectrum takes it to the next level with an ultra-smooth palette—from super-smooth mattes to shimmer-laced shades. The sleek black case is glamorous, cool, and compact at the same time. It features tonal, spectrum-like lines that alternate from matte to shiny and a rainbowed-out, faceted Urban Decay jewel. Full Spectrum Eyeshadow Palette is equipped with a large mirror and a double-ended brush. The included Tapered Crease Brush is perfect for laying down shadow, defining the crease or blending out color. Use the Shadow Brush to pack color on the lid or do detailed shading. Each Eyeshadow in Full Spectrum Eyeshadow Palette features Urban Decay’s Pigment Infusion System™, a proprietary blend of ingredients that gives every shade its velvety texture, rich color, serious staying power, and blendability. Omg! these shades are gorgeous! I so love them. I'm so debating about getting this palette.